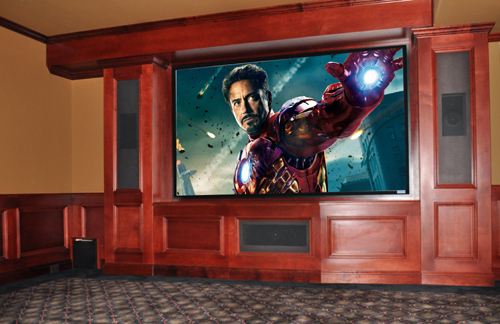 Audio by Design is a locally owned company of experienced professionals who design and install state of the art Home Theater Systems, Media Rooms and Audio Systems in both Finished Homes and New Construction. Unlike dedicated Media Rooms, Family Rooms and other living spaces often require a more subtle approach when balancing aesthetics with functionality. We work with the home owner to design a system that meets their needs in the constantly evolving world of electronics. We take you through all aspects of our projects, from initial design through installation, maintenance, service and training.